while working with all scales of fabrics. & value while working with all scales of fabrics. Kit Fee: $69 Includes: All fabrics for the quilt top & binding. the quilt top & binding. Kit fee is in addition to class fee. Come in to My Quilting Loft to see the sample quilts of these ADORABLE quilts to choose which you will want to make. You will need notions as listed on each pattern. When you sign up, let us know which quilt you will want to make and we will have it ready for you at class time. NO MACHINES NEEDED!! what??? it's true!! These are all Iron On Applique!! Requirements: Class requires purchase of kit, pattern, and notions necessary. See description for price list. Instructor Bio: Robin Reilly is a Laura Heine certified instructor for collage quilting. 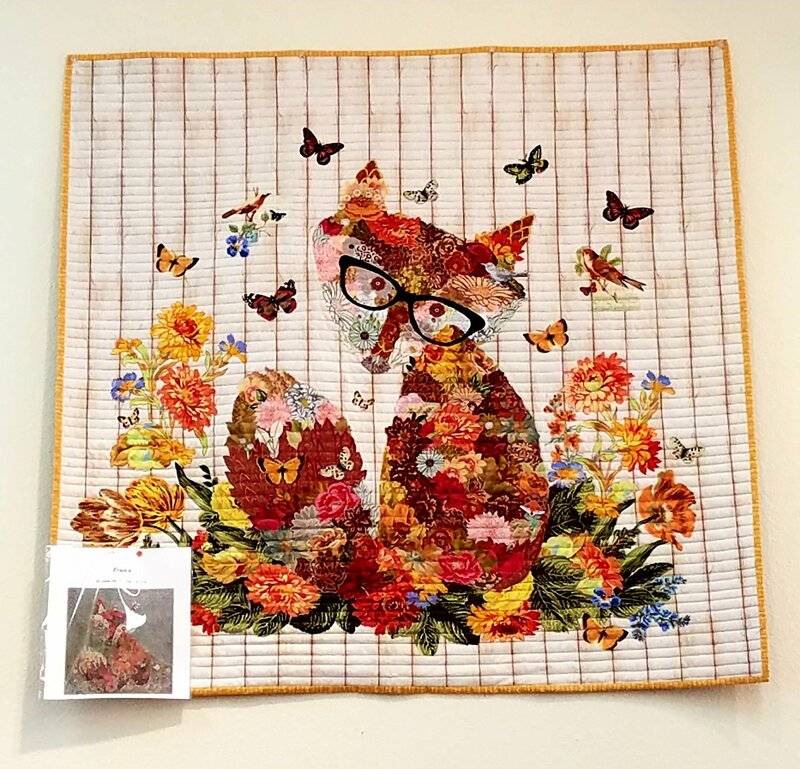 Her passion for collage quilts is infectious! This is sure to be a FUN class!! Your finished project will be sure to please!